Faced with a daunting trek, an intrepid outdoorsman relies on inner strength to carry him across a precarious bridge. Motivate every employee with this 5"x7" framed desktop print. 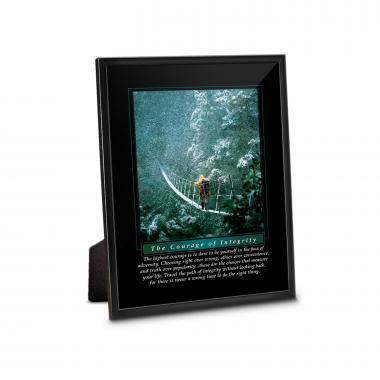 Part of our Essence of... collection, this framed desktop picture features an easel back.